Libby McCampbell has been dancing, teaching dance, and choreographing professionally for over 14 years. She has danced with the Locations Dance Company in Philadelphia, and for numerous benefits throughout the Philadelphia region. Her work has won special judges awards and “Outstanding Choreography” awards at regional competitions. 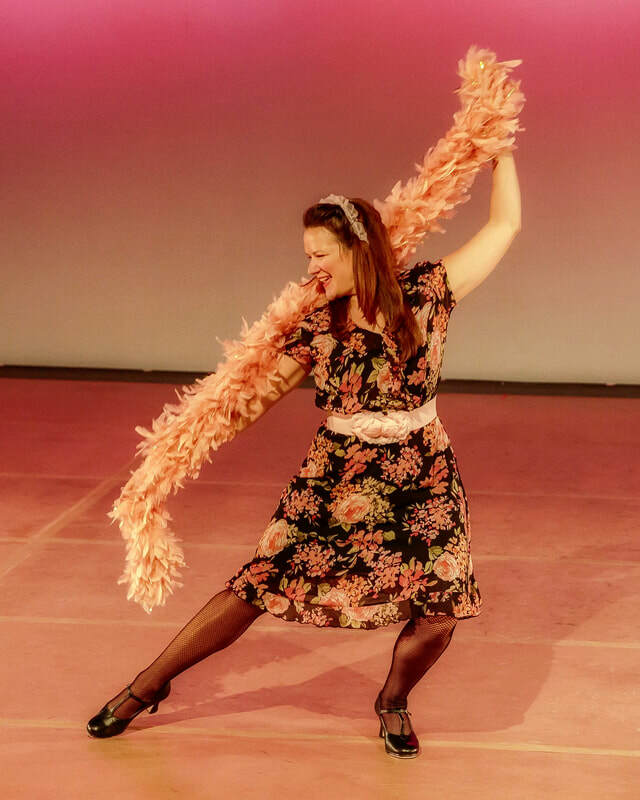 She holds a Masters in Education and a Bachelor’s degree in Elementary and Special Education, is certified as a PA Public School Educator, has taught in several area dance studios, and has choreographed for Upper Darby Summer Stage Children’s Theater. Outside of the dance studio, she is a proud mommy to three energetic preschoolers. This is her fourth season with The Lady Hoofers.